Cape Town’s modern history began in 1652, when Jan van Riebeek and 89 others stepped foot in Table Bay. His task was to set up gardens to provide fresh produce and livestock to the ships passing between the West and East. 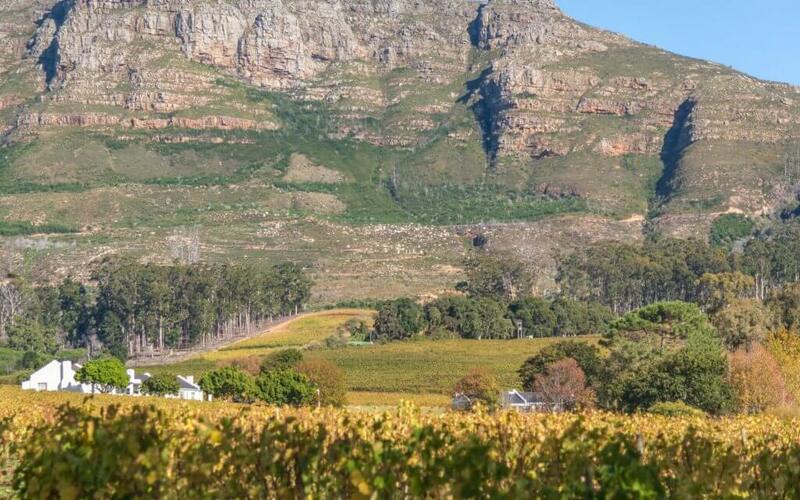 Within three years he had also planted the Cape’s first vines, in what is now known as The Company Gardens. He’d mistakenly thought that the wine had a high vitamin C content, which would have been the perfect elixir for scurvy-ridden sailors rounding the Cape. Although he was wrong about the vitamin C, I don’t think the sailors – nor us centuries later – would complain. Barely twenty years later, it was Simon van der Stel however, who would properly launch the wine industry in the Cape. Appointed the Cape Colony’s first Governor, he also had training and experience in viticulture. After sending numerous soil samples from all over the Cape back to Europe to be analysed and ascertain the best location to plant vineyards. Van der Stel chose for himself a 2400 hectare piece of land to start planting, calling it Constantia. The city’s modern history then began with a garden, and a garden that would soon start to produce some of the world’s finest wines: within a few decades the Constantia wines were already being enjoyed by royalty and nobility, and written about by the likes of Jane Austen, Charles Dickens and Baudelaire. 333 years later, the wines of Constantia are still enjoyed around the world: a proud heritage of the country, and in fact the Southern Hemisphere’s, oldest wine producing region. 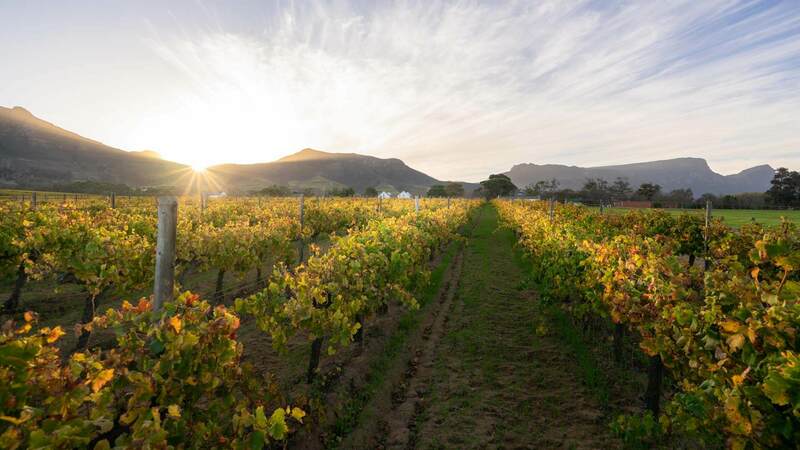 Tell us about the location and geography of the Constantia Wine Route is alone worth noting. Tell us about some of the spectacular aspects of where we are positioned? Gregory: We are positioned on Constantia Nek in the centre of the Cape Peninsula with the Constantia Valley and it’s vineyards rolling down in front of us. False Bay and the Indian Ocean is 12km to the left of Constantia Nek, Cape Point ahead and the Atlantic Ocean only 4.5km on the right. Cape Town City Centre and the Waterfront are only 8km away – Constantia is Cape Town’s Vineyard. Prevailing winds off both oceans creates a cool maritime climate with temperatures that can be between seven (7) and ten (10) degrees cooler than Stellenbosch on a warm day. The Constantia Valley borders the Table Mountain National Park which is home to huge biodiversity. There are just under 30 000 plant species in the world and almost 10 000 of them are found in the Cape. That’s 1/3 of the World biodiversity in our backyard – rightfully awarded status as a UNESCO World Hertigage site! There are many endemic plants that grow between Constantia Nek and Cape Point – and are found on where else on Earth. Boela: There are a few factors that have a major impact on the growing conditions of the Constantia Valley. One is the proximity to the Atlantic Ocean. This obviously helps to moderate the summer temperatures. A warm summer day in Constantia will reach 28˚C, temperatures rarely go over 30˚C during the summer. This has a big impact on the style of wine we produce in Constantia. The other big climatic influence is the high rainfall. Constantia gets about 1100 mm of rain per year (long term average). To put things into perspective: That is more than the annual rainfall of London! If you look at the eastern and southern slopes of Table Mountain (Newlands and Kirstenbosch) there seems to be a constant supply of water to this part of the Cape. Think of the Newlands Spring that was running freely when the rest of the Cape was dry as a bone. In our current situation, this is a real blessing. 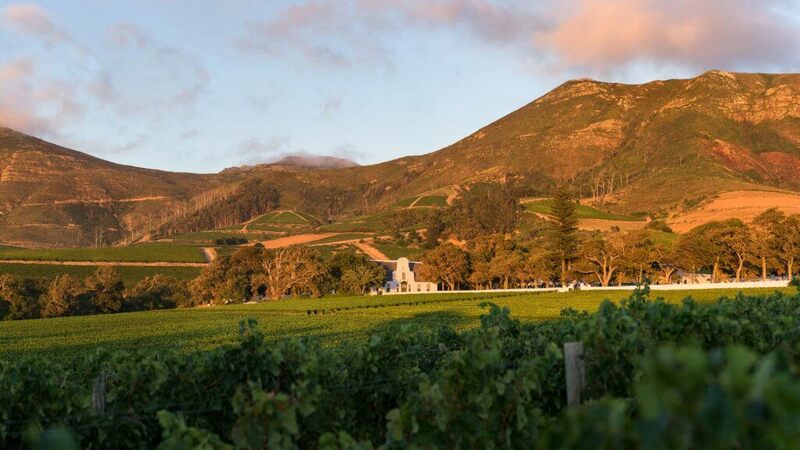 Also, going forward with all the uncertainty of global warming, the high rainfall and relative low temperatures promise mild conditions for Constantia for the immediate future. It is not all plain sailing though, the mild temperatures and good water supply pose a few threats too. The first is vigour. We have to be very mindful of the varieties and rootstocks we plant on the different sites. A strong growing grape variety on a fertile soil will grow very vigorously with the good water supply, which leads to high yields (less concentration in the wines) and unpleasant herbal characters in the final product. Also, certain red varieties are very difficult to ripen on cool sites. The vineyard teams of the nine farms work closely together during the growing season to monitor and counter any sign of disease. The soils of Constantia are easy to understand. The Table Mountain range consists of a granite base and a sandstone cap. The erosion of these two base materials gave rise to lighter soils from the sandstone and heavier, clay based soils from the decomposed granite. The high rainfall implies small alluvial deposits in the Valley. The alluvial soils are very fertile and are best avoided when planning your vineyard plantings. The sandy soils (a very small percentage of the soils in Constantia) produce very aromatic, elegant wines, where the granite-based clay soils produce more concentrated, complex, powerful wines. 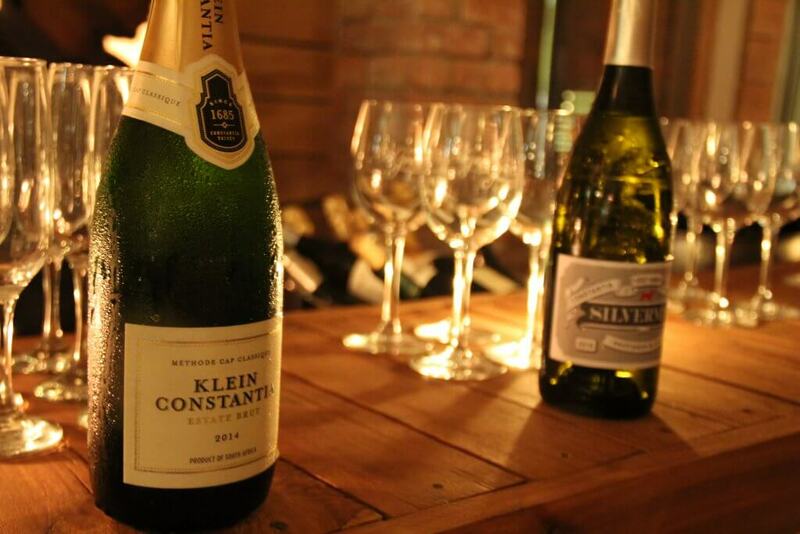 There are no limestone, schist or volcanic soils in Constantia. The variation in altitude is quite dramatic in such a small production area. The lowest vineyards are at about 40 m above sea level, and the highest vineyards are on over 400 meters. Combine all of the above with the variation in slopes (from cool south to sun-baked north), there is enough variation in climate in Constantia to produce quite a big range of wines, ranging from MCC and crisp, fresh Sauvignon, to Cabernet-blends and sweet wines. As we alluded to earlier, the sweet wines of Constantia became famous around the world. Why is this valley particularly suited for sweet wines – and of late Sauvignon Blancs have been making quite a stir – tell us about those also? 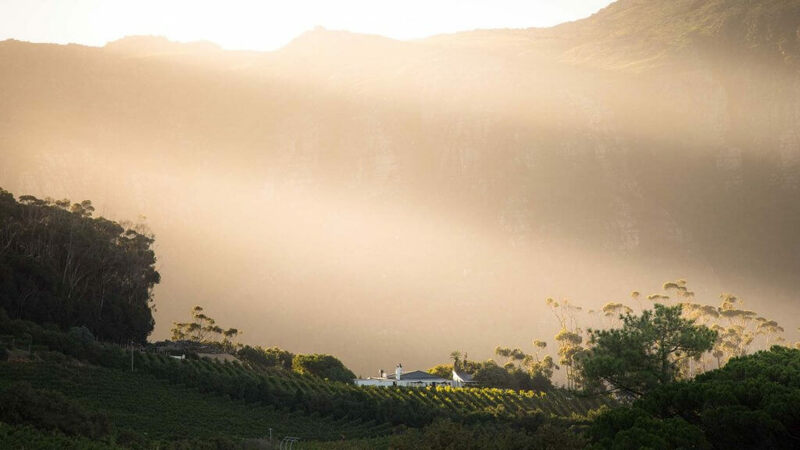 Matt: The Constantia Valley is situated anywhere between 40 metres and 406 metres above sea level, with a constant sea breeze, temperatures remain cool. With the ocean a mere 10 kilometers away, the wind plays an important factor, often stressing the vineyards and resulting in an increase in concentration and flavour in the fruit. The high slopes of the vineyards going up the Constantiaberg are some of the colder slopes in the Cape, with fewer sunlight hours and lower temperatures being ideal for preserving the acidity and pH of white varieties, most especially Sauvignon Blanc. This cool climate also creates the ideal growing conditions for the natural raining of the Muscat de Frontignan berries, this is crucial for making our unique sweet wines. Here we are able to produce fruit of the very best concentration and flavour as well as sufficient sugar levels without the aid of botrytis. Despite over 300 years of history, there are exciting new developments taking place in the Valley – with your farm being a prime example. Tell us a bit of what it means to hold these two aspects – ‘heritage’ and ‘innovation’ together, and particularly the role tourism plays? In Constantia we inherited a history and winemaking legacy as well as an amazing, protected natural wonder in the form of Table Mountain and its floral diversity. As custodians of this land now, it is our responsibility to protect this heritage whilst at the same time making sure that the generations to come will also inherit this. Without investment and innovation you can easily slip off the radar and become another historic site with little relevance in the present. One way of respecting the historic architecture of Constantia is creating an obvious contrast with modern building techniques instead of trying to recreate the old Cape Dutch styles. This can be seen in action at our new winery at Uitsig, at Steenberg and also the Norval Foundation. One of our main strengths in Constantia is proximity to Cape Town and therefore many visitors. This enables us to provide authentic experiences that builds loyalty to our brands. The new generation of wine drinker is seeking authenticity and feeling part of the winemaking process. Modern architecture at Uitsig, Steenberg and Klein Constantia allows people to feel close to the process. We are Cape Town’s Vineyard and we want Capetonians to also see it that way. On the farming side, many areas are replacing vineyards with more profitable crops or simply uprooting without replanting. Constantia is constantly replanting vineyards and removing old, virus infected vines with healthy vines of exciting new clones. We have to make sure that there are also old vines for the next generation in this way. The fact that the winemakers and viticulturists in the valley are young also brings with it an eagerness to share knowledge both in the cellar and in the vineyard and to promote the reputation of the valley as a whole instead of just our individual brands. Please do not hesitate to contact Carryn Wiltshire on info@constantiawineroute.com or 0836794495 if you would like any additional information or have any questions.